A Dutch auction house is planning to launch regular sales in London as, it says, the art and antiques market in Holland has contracted. 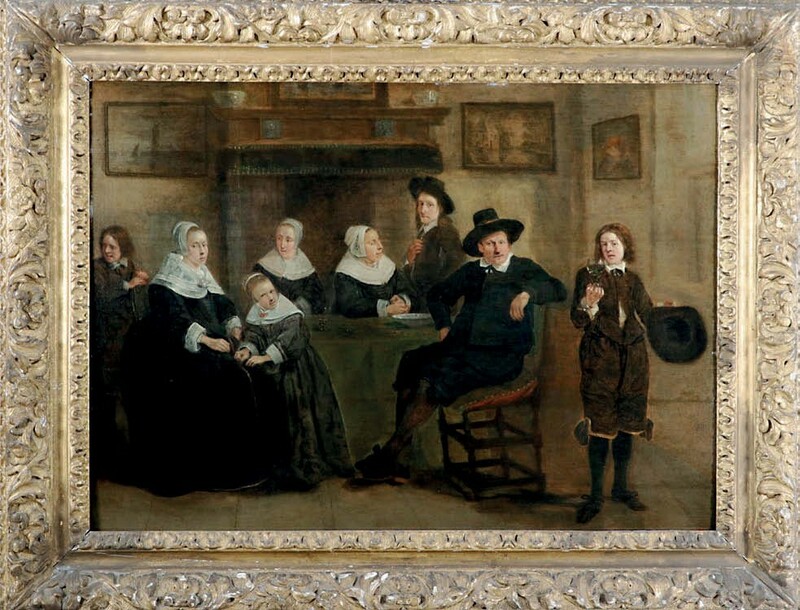 This family portrait, described as a late work by Frans Hals, is part of a collection that Hessink’s plan to sell in London in September. Hessink’s has taken storage space in Kensington Church Street with expectations of holding six to eight auctions per year from a hotel site in St James’s. The first sale, scheduled for September, will include a collection of 42 Old Master pictures formed by a Dutch collector since the 1990s. Hessink’s opened in 1993 as VendueHuis Zwolle and operated until 2010. Bradley Hessink, the son of the founder, relaunched the business from premises in Zwolle in March 2017 in the hope of appealing to a new generation of buyers. The inaugural London sale includes what the auction house describes as a fully autographed late work by Frans Hals. The picture was offered for sale around 10 years ago but it failed to sell – a result, believes Hessink, of under-exposure and a belief that the €200,000- 300,000 estimate suggested it was only an attributed work. It will be offered with a full attribution and an estimate of €3m-5m. The picture of an unidentified eight-member family group is thought to be among the artist’s final works, painted in the 1660s when Hals was around 85. It is recorded in sales in Amsterdam in 1768 and again in 1773, and reappeared on the market in 1948 when it sold to the Dutch dealers Benjamin and Nathan Katz. It comes with a written statement from Gerrit David Gratama (1874-1965), a former director of the Fran Hals museum, stating it is a Hals, painted in the last years of his life, and features in the third volume (1910) of Cornelis Hofstede de Groot’s (1863-1930) catalogue raisonné. It was bought privately by the current owner in 1996 from the family of Willem Vroom, co-founder of the Vroom & Dreesman department store chain.